If you own a seasonal or year-round day/overnight horse camp for children or adults, you have a unique liability exposure that is not easily covered by regular insurance plans. If you are paid for these services, it is classified as a business venture and needs to be insured with the right horse insurance. You can discuss a commercial equine liability insurance policy with a team member from Ark Agency. Our goal is to ensure your horse camp is equipped with the ideal insurance coverage. Camps usually provide overnight accommodations such as cabins, campgrounds, and dormitories, and food service. Camps also provide educational and recreational activities for campers provided by staff members or outside contracted sources. These often include low exposure activities such as arts & crafts, games and relays, performing arts, hiking, fishing, bird watching, petting zoos, environmental education, canoeing, kayaking and swimming. Higher exposure activities may include horse activities such as lessons, trail rides and horse care, therapeutic riding, gymnastics, diving, rafting, rock climbing and more. Please note: Ark Agency’s Insurance Companies insure camps that have a strong horse and equestrian focus. We may not be able to insure all of the high-risk exposures a camp operation may have, such as bungee jumping, high diving, and high elements rock climbing. Also, while uncommon, child molestation by counselors is an exposure of concern and you may request to add this coverage to your policy under our program. How Risky is the Day and Overnight Camp Exposure? High. Because camp services are long term and provided to children who are minors and not accompanied by parents, the exposure is in the high category. Children require a high level of supervision, repeated instructions, and attention. The exposure level is offset somewhat by the fact that most camps are run according to, and may be accredited by, industry standards established by long standing respected camp organizations. The exposure is offset as well because continuous or nearly continuous supervision is provided for campers at a ratio of counselors to campers that is an excepted standard of the industry. As a camp operator, you worry that you could be sued or otherwise have a claim made against you for bodily injury incurred by a camper. If sued, you will need to hire a lawyer to defend you, and you wonder how you would go about doing this. You would have to pay a court-ordered or agreed-upon settlement to the injured party if you are found responsible. Fortunately, much concern can be relieved when you buy a Commercial General Liability Policy [CGL] to insure the camp operation. Commercial General Liability Insurance protects you from financial loss should a camper, visitor, or a trespasser become injured [Bodily Injury] or their property is damaged [Property Damage] in relation to your camp operations, and they make a claim or file a lawsuit against you for damages. If yours is a children’s camp, be sure to ask if Child Molestation Coverage is provided under the policy you are applying for. 1. 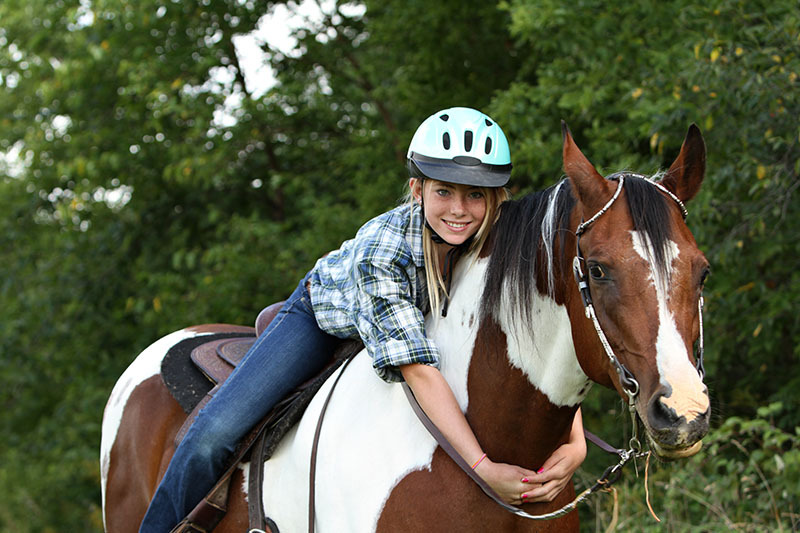 A camper is injured while participating in a camp activity, such as horseback riding, low elements rock climbing, cycling, playing games and in competitions. 2. A camper gets into mischief when they wander away from supervised activities and is injured. 3. A camper’s parents make a claim for child molestation or abuse of some type. Anticipating potential risks is a part of our job, so we can provide you with a policy that has the coverage you need to protect your horse camp business. To speak with an Ark Agency representative, please call 1-800-328-8894 and we will help determine which coverage protects your business the best. We can even find a policy that extends to your property with ranch insurance.